The Presidency: Back to the future? Appointing a tribunal, just within the deadline, to examine allegations against Justice Tunoi of corruption made by the Judicial Service Commission, the President stated, “I reiterate my commitment and fidelity to the Constitution of Kenya, and confirm that I will continue to uphold and defend it, as I have from the first day I took oath of office as President. Nothing less should ever be expected from me and the office I hold in trust of Kenyans.” He correctly defines the duties of the president. Whether he has lived up to them is another matter. In another article in TheStar, we argue, with numerous illustrations, that he has not. Here we focus on the President’s acts in relation the Tunoi issue. Before examining the intricacies and implications of his behaviour, we discuss briefly judicial independence and the relationship of the judiciary to the presidency. Judicial independence is a fundamental principle of our intricate constitution. It had been severely undermined by Presidents Jomo Kenyatta and Moi. Partly as a result, many judges had become subservient to the executive as well as accepting or soliciting bribes from litigants. The independence of the public prosecutor was also eroded. The public lost confidence in the competence and integrity of these institutions. Restoration of the independence, competence and integrity of the judiciary and prosecutors became a priority for the new constitution. This was especially true because of the central role given to the courts in protcting the constitution and its values. Appointment and removal procedures for judges are critical to achieve that vital independence. The JSC, which has a presence of the executive, but is not controlled by it, is the key. Here we are primarily concerned with the procedure for removal. Justice Tunoi was accused of having accepted two million dollars from Governor Kidero of Nairobi to decide for him in an election petition. Investigation by a JSC panel (including the Attorney General) concluded that there was a case to answer and recommended immediately to the President that, in accordance with the constitution, he set up a tribunal to inquire into the allegations and recommend whether the judge should be removed. In a curious chain of events, the President’s Office (OP) said that it has received no recommendation from the JSC. When challenged by the JSC, the OP said that it had not received all the documentation. Actually documentation was not needed for the President to act, but the JSC had supplied it). Finally, the OP refused to set up the tribunal, arguing that the High Court had held that Tunoi had reached retiring age and was no longer a judge, and the Court of Appeal had not yet considered the appeal. Faced with public outrage, the OP then announced that the President was setting up a tribunal and listed its members (though none of them knew of this, and the President himself was by then on the way to Israel). As a literate person, the President should have realised he was violating the constitution. Article 168(5) says that the President “ shall suspend the judge from office” and “ acting in accordance with the recommendation ” of the JSC set up the tribunal. “Shall” means “must” in this context, and “acting in accordance with” means doing what they recommend. True, Tunoi’s appeal on the retirement age question was before the Court of Appeal. But that court had suspended the High Court’s ruling, so Tunoi was still a judge (and being paid as such). So the JSC and the President were bound by court order to treat him as a judge. The President’s constitutional obligation was to set up the tribunal. The tribunal is dealing with an entirely different question from the courts. But it could decide to wait until Tunoi’s age issue is resolved by the courts. The tribunal appointed in 2011 to consider the removal of the then Deputy Chief Justice, Nancy Baraza, did wait until her challenge to its existence had been decided, and rejected, by the High Court. But this is a matter for the tribunal, not the President. Is the tribunal validly appointed? All the statements regarding this affair have come from the OP. Article 135 requires that any decision of the President under the constitution must be in writing, with “the seal and signature of the President”. If it is true that the tribunal was set up when the President was well on his way to Israel, he could hardly have satisfied the Article. The hurried appointment of the tribunal is hardly consistent with the care that should go into it, as implied in having a fortnight for consideration. It is not for us to question the credentials of the members, other than to express some surprise about their seniority. If the conduct of the CJ were an issue, the tribunal would have to include three superior court judges from the Commonwealth. Even the vetting board for judges and magistrates always had one or more senior or retired judges from other commonwealth jurisdictions. The Nancy Baraza tribunal was chaired by a former CJ of Tanzania. Surely when a Supreme Court judge is on “trial”, the chair ought to be a judge of eminence, in status and record. But none of this new tribunal is senior, other than in years, to Tunoi. Here the constitution is partly at fault for allowing a weak tribunal to remove a judge. Repeatedly the President has blamed his staff for his errors. Even now his office has said that he was misled by the legal advice given to him; implying that otherwise he would have immediately proceeded to the appointment of the tribunal. It has also been put out by the OP that the AG advised against setting up a tribunal — which seems odd (and if true, extremely dishonest of the AG) since the AG was a member of the JSC panel that unanimously recommended a tribunal. It is also said that the Solicitor General came to the rescue and supported a tribunal (no doubt after the fierce criticism in the social media). Or could it be that the President himself was desperately keen to avoid the tribunal, perhaps afraid that the people might know that even Supreme Court judges can be bought? Why would that bother him? It has also been said that the President changed his mind fearing impeachment — but this is hardly plausible as the President has a built-in majority in both Houses of Parliament, and in any event, he has enough money to buy a sufficient number of MPs. Could the answer be squabbles among his staff — AG and SG have already been mentioned as having opposing views? The President’s claim that he has, and will, always respect the constitution is nonsense, as our other article in this copy of The Star shows. From the very beginning, he has tried to undermine the independence of the judicial system. 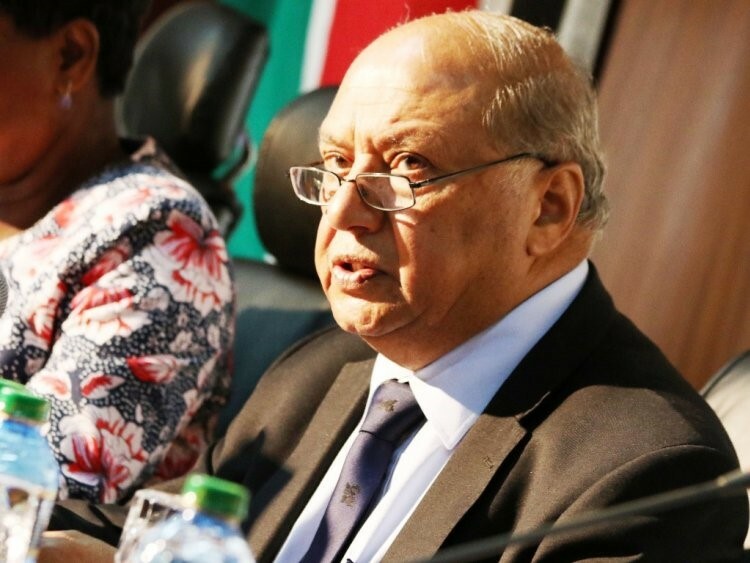 Apart from his unconstitutional foot-dragging over appointing judges, there was also the case recently of the change of the two JSC members, appointed directly by the President, to represent the general public. The new members seem to represent the Presidency rather than the public (one being a former senior TNA official). Speculation is that the government is preparing to influence appointment of the successor to CJ Mutunga. In these ways the President and his government have politicised the processes around the judiciary. If they were to succeed, the essential constitutional principles like the rule of law, competence and independence of judges, and good governance will be destroyed, just as in the time of the father of the President. The authors are directors of the Katiba Institute, but the views expressed here are not necessarily those of the Institute.